Do you ever find yourself glued to your TV mesmerized by all the dishes you see on the Food Network? The struggle with recreating meals is that sometimes we need a visual guide in the kitchen. 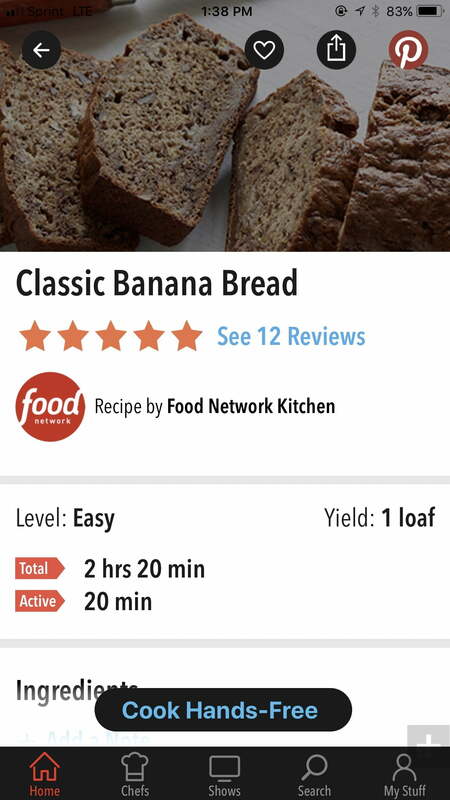 Food Network’s aptly-named In The Kitchen app knows that not everyone’s a seasoned chef — no pun intended — and it’s purpose is to get you off the couch. 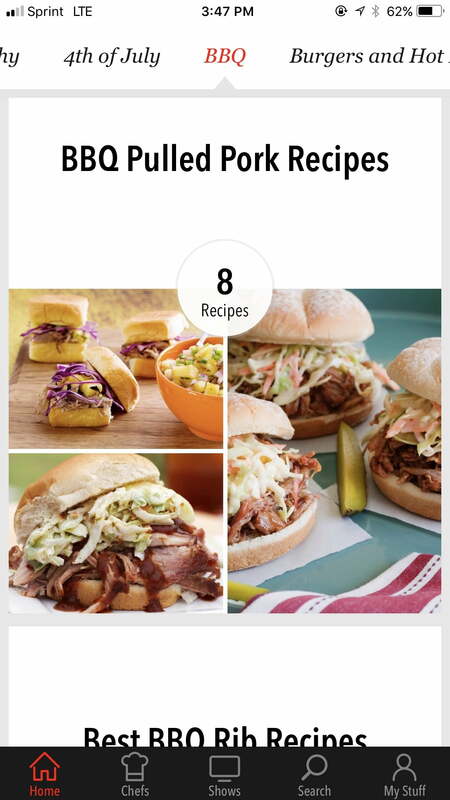 The app gives you access to all its popular recipes — more than 80,000. whether it’s breakfast, lunch, dinner, or dessert — from renowned chefs like Bobby Flay, Rachael Ray, Guy Fieri, and more. 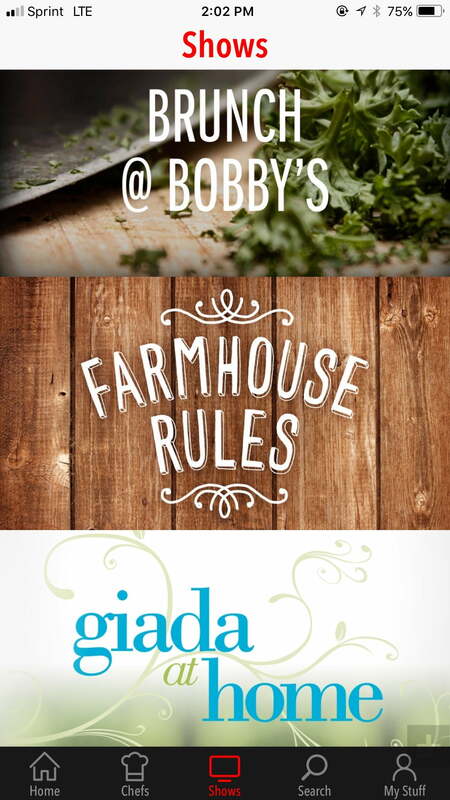 The “Shows” tab gives access to all the recipes from Food Network shows like Barefoot Contessa to The Pioneer Woman, and it will even let you know which shows are currently airing at the moment. You can save the recipes and create collections based on themed events or types of cuisines that you want to try out later. Another convenient option is to export ingredients into your notes app for the next time you plan on going grocery shopping. 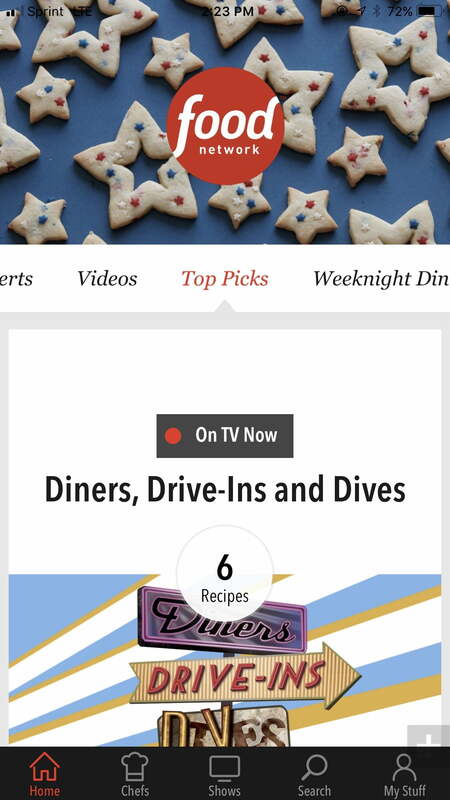 While the app has been around for a while now, it recently added a feature called Stories, and it’s heralded as a “seamless, interactive way to bring bite-sized cooking clips, recipe roundups and additional content to users’ fingertips.” As you might expect, it’s similar to an Instagram or Snapchat story — they’re quick little moments of content that are organized by category. So whether you’re looking for a Trending recipe or something to make you a Weeknight Warrior, you can find a Story for you. Last summer, In The Kitchen received a huge update based on a pain point we all experience — having to touch your phone with food-covered hands while cooking. Whether it’s scrolling to the next direction or having to unlock your screen, food residue is definitely a pain to clean off your phone. That’s why there’s now a new feature called “Cook with Me,” and it came to life after the team behind the app — Scripps Lifestyle Studios — observed how people interacted while cooking. Users would often have no choice but to dirty their screens when unlocking their phones to see more steps and information, Al Ming, director of products and apps at Scripps Lifestyle Studios, told Digital Trends. 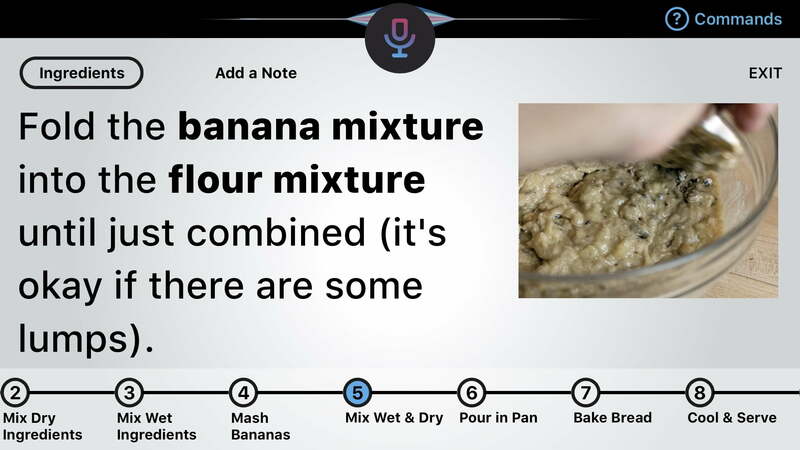 But the new feature allows you to keep your hands free while cooking, and you can control the app using voice commands. Similar to any voice assistant currently out there, this one goes by the name of Sage. To switch from step to step, say “Sage, next” or “Sage, previous.” The app also prevents the screen from auto-locking if you have a recipe open. I have absolutely zero experience with cooking unless you count Easy Mac and cereal as preparing a meal. Oh, and I also did try to make pasta once, but burned it — yes, it’s possible. But this app made me feel like as though I was as capable as any of these expert chefs, so I went ahead and tried it out. The Cook with Me section only has a handful of options to choose from at the moment. I went with “Classic Banana Bread,” because it didn’t require any fancy tools. Click on the dish and you get a star rating, reviews, level of difficulty, how long it would take to bake, and the option to cook hands-free. It was definitely super helpful to be able to export the ingredients into my Notes app, because I was able to easily cross things off my list while shopping. Then came baking, which turned out better than I expected. The steps are listed in large font, and it’s easy to follow along. Sadly, I did have trouble with the voice assistant. I had to either speak really close to the microphone, or speak loudly. I recommend making sure your cooking area is incredibly quiet if you’re going to rely on the hands-free aspect of the app. Almost two hours later and a taste test from both my parents –who are harsh critics — the cake-like bread turned out to be edible. The new feature is definitely ideal for anyone that enjoys getting their hands dirty while cooking — which isn’t me seeing as how I subconsciously wiped my hands on any napkin I could find. Hopefully, the microphone won’t give you as much of a hassle as it gave me, because I think it’s a great solution to a problem that gets in the way of cooking. In The Kitchen — available on iOS and Android — is a great cooking app. You can also scroll through to gain inspiration for future meals or even to pass the time if you’re tired of Instagram foodie accounts. I definitely wouldn’t recommend scrolling through if you’re even the slightest bit hungry and don’t have access to a kitchen — you’ve been warned.